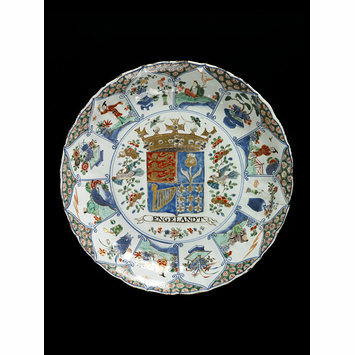 Dish of porcelain, circular, saucer-shaped, with slightly fluted and wavy edge. 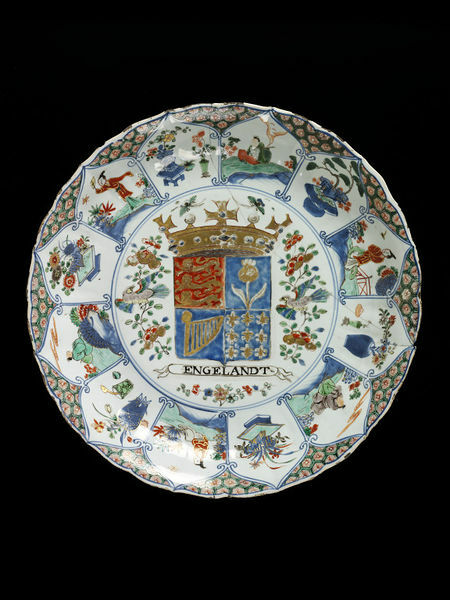 Painted in the middle with the Royal Arms of England, below, the word 'ENGELANDT', and on either side, birds and foliage; border of ogee-topped compartments outlined in underglaze blue containing alternately figures and flowering plants in vases, in underglaze blue, red, green and manganese with touches of gold, the spandrils filled with cell diaper in red and green. 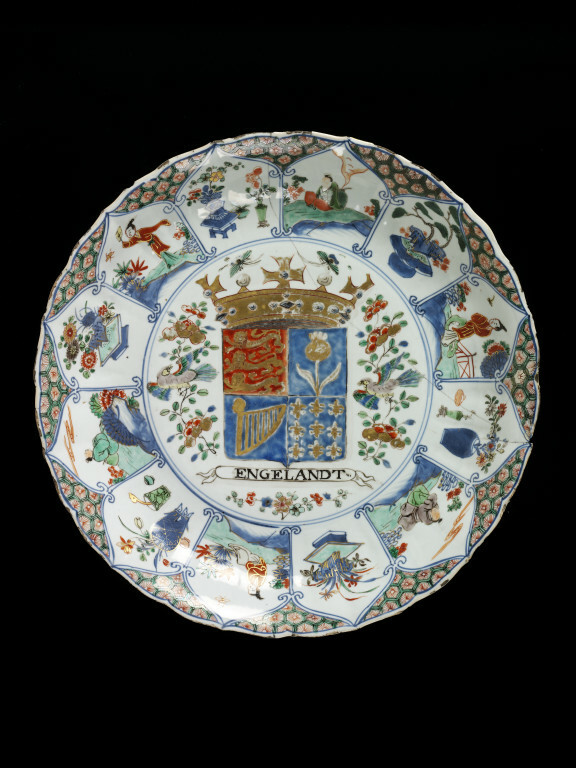 Painted in China with a garbled version of the Royal Arms of England.